The Minister of Communications, Barrister Abdur-Raheem Adebayo Shittu has commiserated with the family of late Mrs. Florence Omatule Seriki, the founder and Group Managing Director (GMD) of Omatek Ventures Plc and the nation’s Information and Communication Technology (ICT) community over the sudden death of the frontline indigenous computer manufacturer, reports ITRealms. 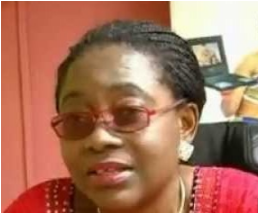 The Special Assistant on Media to the Minister, Mr. Victor Oluwadamilare, quoted Shittu in a press statement made available to ITRealms, as saying that he received the news of her death with a rude shock, describing late Mrs. Seriki’s demise as an irreparable loss to the Seriki family, the nation’s ICT community and the country at large. The Minister said that Mrs. Seriki died when the nation most needed her wealth of experience to boost ICT development in the area of manufacturing and assemblage of computers, equipment and accessories. According to him, her death is a monumental loss to the nation especially at this period that the government is courting the ICT sector as the next mainstay of the economy. “Honestly speaking, the Nigerian ICT community will greatly miss her considering her huge contributions to the development of computer hardware and accessories. In fact, Mrs. Seriki, a team player, was a front liner who paved the way for other indigenous manufacturers of computers in Nigeria and Africa. “It is worthy of note that her contributions transcend beyond the shores of Nigeria with a big factory in Ghana, as Omatek brand of computers is an household name in many African countries”. However, Shittu expressed optimism that her demise will not wane down the growth and influence of the company in ICT development, stressing that “what she lived for should be upheld”. While the Minister prayed for the repose of the soul of the deceased, he prayed God to give the members of her immediate family the fortitude to bear the irreparable loss.